For bacon lovers only! Enjoy a juicy Friendly's Big Beef® burger topped with melted American cheese, applewood-smoked bacon, fresh lettuce, tomato and mayo on a grilled Brioche roll. 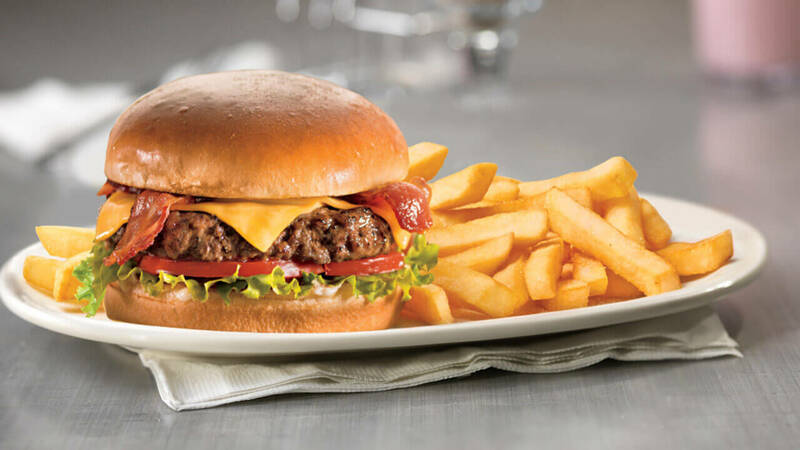 One juicy 100% USDA Choice beef patty stacked with melted American cheese, lettuce, tomato & mayo on a brioche bun. Add bacon for 99¢.